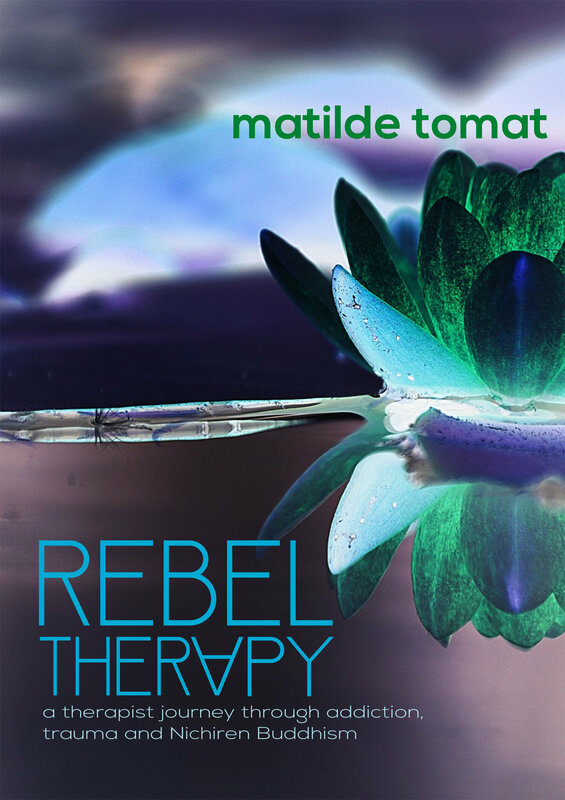 Please, find following the last chapter of my latest book: Rebeltherapy: a therapist journey through addiction, trauma, and Nichiren Buddhism which is now out and can be found it here: https://amzn.to/2wZ9lln. In here I discuss education (namely, the United World College system), Brexit, Nichiren Buddhism, dignity and Mission. and likewise, the great ocean began with a single drop of dew. a hundred, a thousand, ten thousand, a hundred thousand, or an asamkhya. Yet “one” is the mother of all. Back in 1985, I was a student at The United World College of the Atlantic, in Wales. For two years I lived among students coming from 73 different countries: we learned about each other, about our culture, history, literature, politics. Heritage and Legacies. After those two years spent living among passionate like-minded students, I won a place to study English and International Politics in Scotland. My mother and grandmother insisted instead that I went back home, to help, and to study Foreign Languages at the local University in Udine. In my grandmother’s words “studying International Politics would bring additional bad luck to the family, since my mother’s brother died when studying it in Milan”. I left Llantwit Major at the end of May 1987 and managed to finally move back to the UK only in August 2008. And, as you probably remember, in August 1988 (almost a year after going back home), I lost consciousness and my memory. I lost me. The system of the United World Colleges, described as “a global education movement that makes education a force to unite people, nations and cultures for peace and a sustainable future” is founded on the words of Lester B. Pearson, who in his Nobel Lecture of 1957 said: How can there be peace without people understanding each other, and how can this be if they don’t know each other? How can there be cooperative coexistence, which is the only kind that means anything, if men are cut off from each other, if they are not allowed to learn more about each other? Those words and that vision, which were engraved in our large hall in Llantwit Major, were still somewhere in me, even if dormant. When I left college, in 1987, regardless of the dread of going back home, in that environment, I still hoped that I could do something, that I could in some way “change the world”. My life then changed abruptly (which seems a constant with me) and I had no cause to fight for, no battle, no desires, no commitment, no drive, no dedication. I envied people who were marching, protesting, writing, and singing Bob Dylan’s or Fiona Apple’s songs. I didn’t have any of that. I didn’t feel any desire to help any other human being. I was very much selfish and self-centred. Very much both egoistic and egotistic. I remember following the changes in China, South Africa, Germany, Yugoslavia, Iran and Iraq as if they were from another planet, and not touching me personally, even if I knew people who lived in those countries and who were at College with me. Once back here in the UK and when I started chanting, I was fascinated by the ones who lived, marched, protested to the point of being arrested, because of their beliefs regarding fracking and the exploitation of natural resources. I still don’t recycle as much as I could and I’m not fussy about plastic wrapping or where my meat comes from. I was living a very shallow life, in my own eyes. Reeves writes when we think about peace is not “just for inner peace but for peace in families, communities, nations, and the world. Peace is not the mere absence of conflict. It brings joy and happiness to living beings and gives them the strength to share their joy and happiness with others, so that all can work together to transform the world into a pure land of peace”. Would I ever find my battle for peace? In a referendum on June 23rd, 2016, 51.9% of the participating UK electorate voted to leave the EU. Peace begins with respect, and boundaries and the UK decided to leave Europe. Regardless of my occupation and the years I lived in the Country, I found myself feeling I had no rights, just overnight. I imagined that since it was 2016 and not 1930, no one would have ever forced me to leave, nor removed me from my own house. Still, I had many people questioning my right to stay; many people shared with me their fear “of the immigrants”; others confided to me that they voted to leave while at the same time found bizarre that I didn’t have the right to vote. “Yes, but you are different” is the constant (and politically erroneous) response I get. Then others knocked at my door and asked me when I would leave, since this is not my Country. A couple of others shouted at me in the street. For these past two years I felt not wanted. I have been verbally abused. I felt I had no Country. I was very much feeling Ms Nobody. But I found something to fight for: dignity. Not only my dignity, but the dignity of every human being, with their rights to live and to be treated fairly and with respect. I am not questioning here the validity of the referendum nor of its implementation: that is for the Country to decide. I am here considering the dignity that comes from “”firmly believing in one’s own Buddha nature and that of others and therefore respecting all people”. Peace to me now signifies “refusing to condone violence or oppression that threatens human dignity or equality”. My mission now, together with sharing my experience and Nichiren Buddhism, is “to forge a solidarity of peace and humanism throughout the world”. President Daisaku Ikeda has met with the likes of Arnold J. Toynbee, Andre Malraux, Alexei Kosygin, Henry Kissinger, Kurt Waldheim, Nelson Mandela, Zhou Enlai, Rosa Parks, and Teresa Watanabe. Moreover, he met with the philosopher Richard von Coudenhove-Kalegi who was an early pioneer of the European Union. Ikeda was also one of the original supporters of the Earth Charter Initiative, which is co-founded by Mikhail Gorbachev, and he has included details of this Charter in many of his annual peace proposals since 1997. This year’s proposal published in January, is titled “Towards an Era of Human Rights: Building a People’s Movement”. He writes: “One of the things we need to highlight is the need for migrants, like everybody else, to have their fundamental human rights respected and protected without discrimination on the basis of their status.”. We can imagine how this applies to refugees and migrants. At the same time, it confirms the basis of respect for the dignity and fundamental rights of all the people, regardless of their status. I believe that the UK should now publicly guarantee the respect for the dignity of every human being on its territory, and that their economic, social, and cultural rights will be protected. At the same time, and this is something that I feel very strongly, the UK should create (or at least allow) an educational program in schools which promotes international understanding and recognition of the importance of cultural differences and how much these do enrich a country. The UK should openly ban any form of racial, social and cultural isolation. Exclusivism can easily lead to disconnection, discrimination and violation. “This goal of peace and security, however is not to be found merely in some ideal future society”. I am also personally committed to discuss the danger of passive tolerance with regards to the above matters: now is the time to value the beauty of a varied society, cherish differences which add value to the communities, and to dispel social tensions. Racism, discrimination and any form of intolerance are born out of fear. I think it is my time to voice my vow to protect the sanctity of individuality. all possess their own unique qualities, each person is unique. We cannot become someone else. and cause the great flower of our lives to blossom. Please, see https://www.uwc.org/ if you would like to learn more about them.